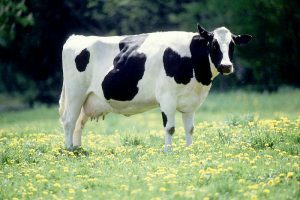 Dairy cattle have added nutritional stresses placed on their bodies in producing milk. Our SweetPro products not only replenish lost nutrients, but also improve milk production and butter fat counts. Many people believe that animals know what their bodies need and when they need it. In nature they would find it. Ranch cattle certainly can’t roam far to meet their nutritional needs. We offer products that support free choice feeding for your herd. SweetPro cattle lick tubs are an all-natural, non-UREA, non-molasses, non-starch free-choice lick tub. It contains protein, vitamins, minerals, yeast, live enzymes, and pre-biotics, for improved digestion and feed efficiency. We offer tubs for your calves, heifers or adult cows and/or bulls. Cattle (Kaf) Starter: 250 to 450 lbs. Light calves and receiving cattle (both beef and dairy calves). Cattle (Kaf) Kandi: 450 to 650 lbs. Heavier calves, receiving cattle and for starting stockers on grass. SweetPro 16: 650 to 1,000 lbs. First calf heifers, stockers on grass, purebred operations, & goats. FiberMate 18: 900 to 1,400 lbs. Cow block for average forage conditions, cows in stalks and stubble, market goats. FiberMate 20: 1,000 to 1,450 lbs. Cow block for low consumption and tough forage conditions, market goats. PowerMate I: All natural supplement for first calf heifers, brood cows, stocker cattle, and goats. Contains Diatomaceous earth. May provide an all-natural fly control. PowerMate II: Brood cows, stocker cows, stocker cattle, and goats. Contains Diatomaceous earth. May provide all natural fly control. Note: We can add Altosid fly control to any of the tubs described above. All of the SweetPro tubs are non-molasses and starch free, and contain protein, yeast, live enzymes, pre-biotics for better digestion and feed efficiency, and all the vitamins and minerals your cattle need. Our tubs are designed to be fed year around for desired health benefits and weight gain. Redmond Naturals consist of sea salt and volcanic ash (toxin binder) conditioner. These products can be fed free choice or in scheduled feedings. If you are looking for salt, we recommend Redmond Naturals’ sea salt with over 50 trace minerals. The Redmond salt blocks come in a 44lb Lick Block version or bagged salt in 50lbs bags or 2,000lb totes. There are many types of salt in fine, medium or coarse grade size. Redmond Conditioner is a wonderful source of mineral and toxin binder and is available in 50lb bags or 2,000 totes. Click here to find out how Den-K Holsteins of Los Banos, California uses SweetPro Fresh Start as milk replacer for their calves. The calves are maturing and growing faster than ever before! Click here to read about how Gaymere Farms of Mont Alto, Pennsylvania has seen success with SweetPro blocks with their dairy cows’ overall health and milk production. Cows with DA have turned around as well! Click here to hear about how Rogers Dairy in Idaho boosted milk production with SweetPro blocks. 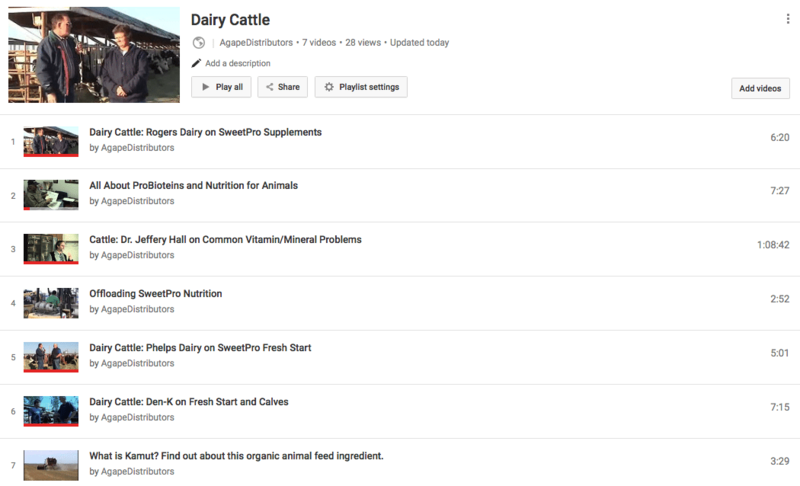 Click on the image below to watch more videos about dairy cattle.